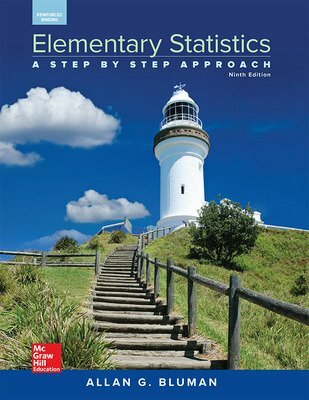 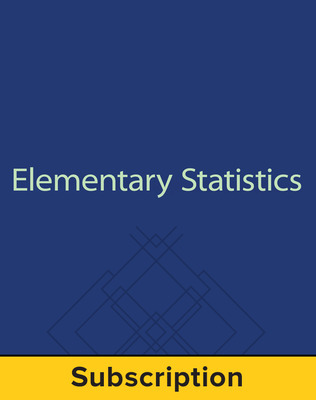 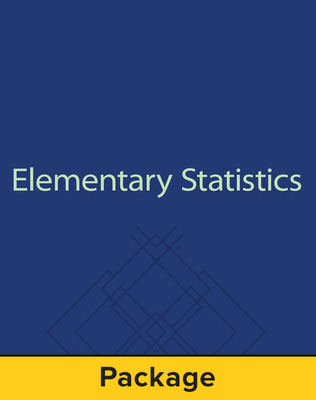 Elementary Statistics: A Step by Step Approach is for introductory statistics courses with a basic algebra prerequisite. 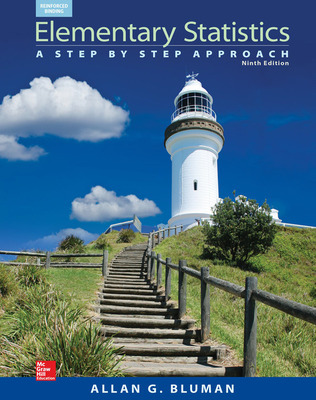 The book is non-theoretical, explaining concepts intuitively and teaching problem solving through worked examples and step-by-step instructions. 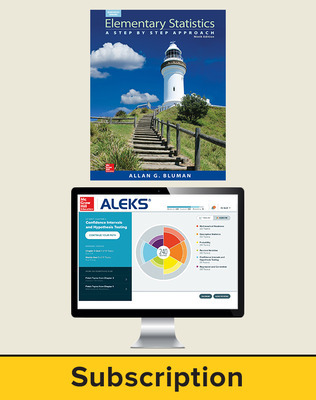 In recent editions, Al Bluman has placed more emphasis on conceptual understanding and understanding results, along with increased focus on Excel, MINITAB, and the TI-83 Plus and TI-84 Plus graphing calculators, computing technologies commonly used in such courses. 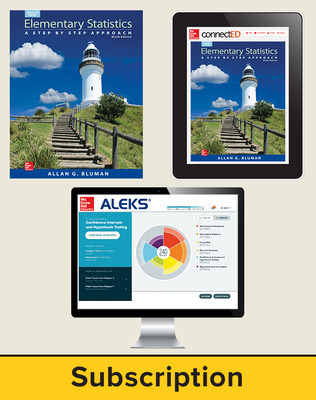 Statistic instructors served as digital contributors to choose the problems that will be available, authoring each algorithm and providing stepped out solutions that go into great detail and are focused on areas where students commonly make mistakes. 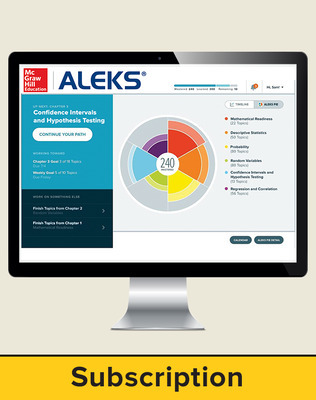 From there, the ALEKS Corporation reviewed each algorithm to ensure accuracy. The result is an online homework platform that provides superior content and feedback, allowing students to effectively learn the material being taught. 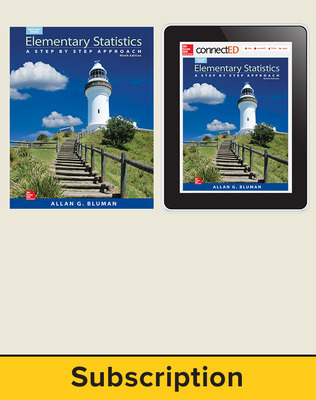 Over 60 new examples and more than 400 new exercises have been added or revised throughout the book.